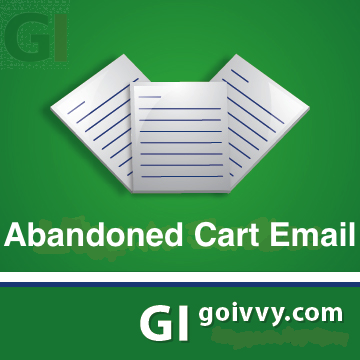 Abandoned Cart Email Magento 2 extension sends a series of follow up emails to customers asking them to complete the purchase. 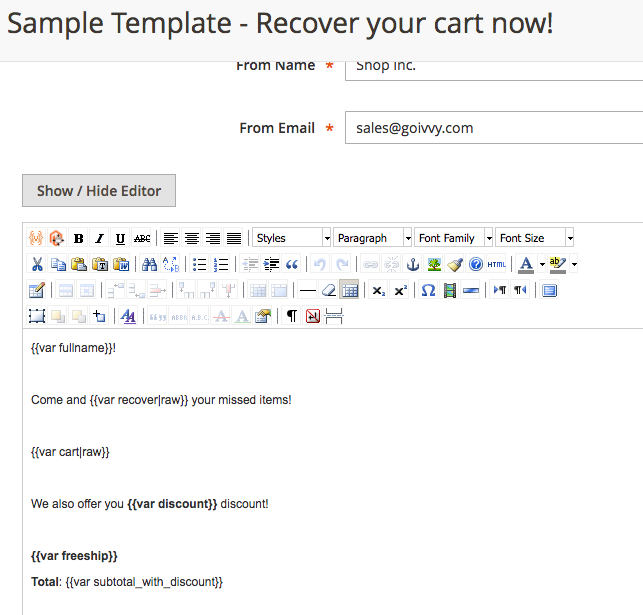 This plugin helps recover sales that for various reasons were not completed by clients. Find out more. Magento 2.1.x CE compatible. User guide (PDF). The extension helps recover abandoned carts. It supports Magento 2.1.x CE. Why I need this extension? You might be surprised just how much $$$ in sales you can recover from one follow up campaign. Is it availbale on Magento Marketplace? Yes it is available on the offical Magento Marketplace. Choose Test running mode and enter test email address - we recommend to first test drive your campaign. All emails will be sent to test email address and not to the real customers. You will see Notifications menu. Notification is your campaign. 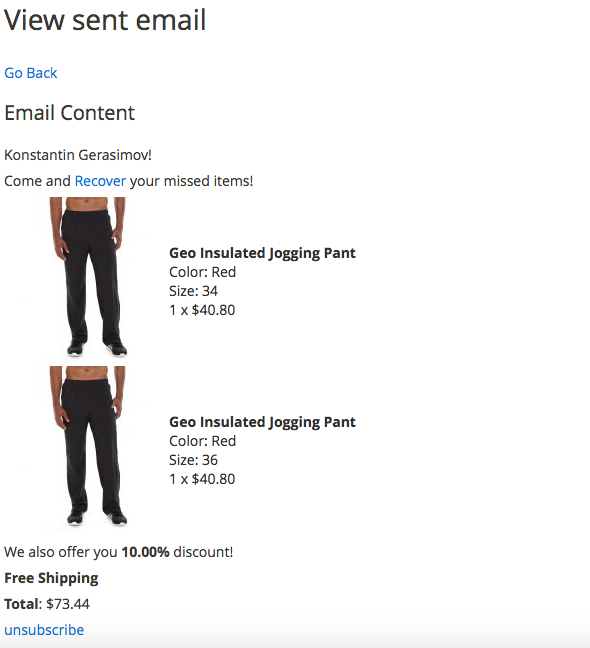 It defines what customer carts to target, when to send emails, what email template to choose, whether or not to include a discount and offer freeshipping. 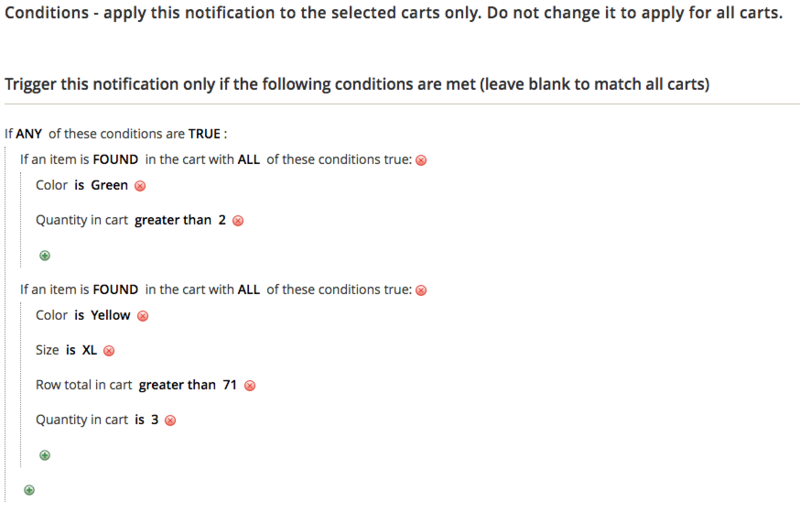 On notification edit page you can set everything up, under conditions tab you can use the same logic you are using for Cart Price Rules. Once you set up your first notification you will be able see all affected checkouts. Here you can send test email to your test email address you setup in Configuration. That is useful to see how your email looks before sending it to a real client. State column shows you if a client is still receiving your emails, on pause, recovered a cart or unsubscribed. Email template supports HTML and custom variables.